MANCHESTER, England (CNS) — An English archbishop has reminded Catholics of the achievements of one of their country’s most famous migrant athletes just days ahead of a general election in which immigration will feature as a major issue. 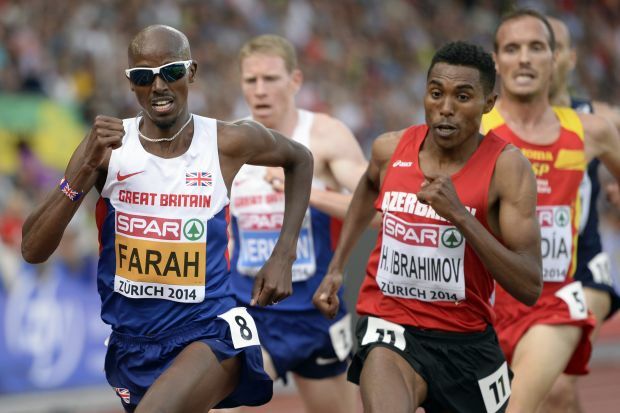 Farah, who won gold medals for Britain in 5,000- and 10,000-meter races at the 2012 London Olympics, arrived in London from Mogadishu “at the age of 8 and speaking very little English,” Archbishop Smith said. His words came just days before Britain goes to the polls to vote for a national government in a general election May 7. Immigration is featuring heavily as an issue for the first time because the United Kingdom is accepting migrants at the rate of 300,000 a year in a phenomenon of mass migration that has accelerated since poorer former communist countries such as Poland, the Czech Republic, Bulgaria, Romania and Lithuania joined the European Union over the last decade, winning freedom of movement within the bloc for their citizens. Pressure on schools, housing, health services and transportation has caused some Britons to express frustration with the inability of the major parties to control the country’s borders. The UK Independence Party, which seeks to halt migration by leaving the European Union, has emerged as the largest British party in the European Parliament following elections of 2014 and is poised to take votes from the largest mainstream parties in the general election, with a hung Parliament the most likely outcome. In election guidance issued in February, the English and Welsh bishops listed membership in the EU and asylum and immigration as issues Catholics should consider before casting their votes. Archbishop Smith, an author of the document, returned to the subjects in his May 4 homily. “The church clearly upholds and recognizes the right of a sovereign state to control its borders in furtherance of the common good. But there are no easy answers to the question of balancing the common good of resident citizens and, at the same time, reaching out and helping the most vulnerable and disadvantaged people, both in our own society and those who seek to come from other countries. “So we must pray for our politicians and our government, both national and local,” said the archbishop.